We've all settled down after the festivities of Christmas and New Year now and are full swing into 2015. Often this means that we settle back into old routines of working hard hunched over our desks or carrying and lifting our children. This month we will be looking at stretches for your shoulders to help relieve some of that achy tension that can develop there. We are going to look at two different muscles to stretch. 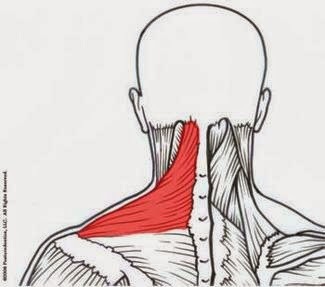 We'll start with the upper trapezius muscle which is located in that knotty tension area you feel on the top part of your shoulder where it connects with your neck. This muscle can get overworked as we often rely on it when lifting heavy weights or when holding our arms up. This is not what it is actually designed to do but it likes to try and help out when it can! Its true purpose if to raise your shoulder blade and tip your head to the side. The picture to the right shows how to stretch this muscle. To stretch the muscle on the left side tip your head to the right (ear to shoulder) keeping your head straight (not tipping forward or backward), if you feel a stretch in the side of your neck and top of your shoulder already then that is enough, if you want to increase the stretch then place your hand on the side of your head and gently pull a bit further. You can also sit on your (other) hand - which keeps your shoulder blade down - to increase the stretch as well. 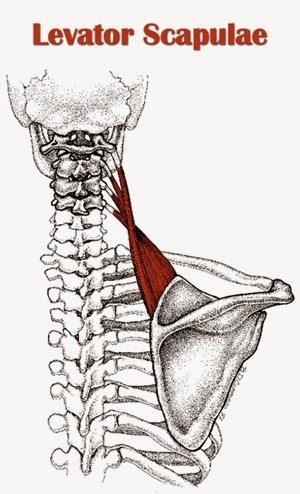 The second muscle we are going to look at is called the Levator Scapulae - its job is to lift your shoulder blade and tilt your head to the side and backwards. These stretches are great to do at the end of a long day if you feel stiff around your shoulders or at any time that you feel some tension or discomfort in this area. If you have a tendency to hold tension in your shoulders then making this stretch a part of your daily routine can really help to keep them loose and reduce your discomfort. 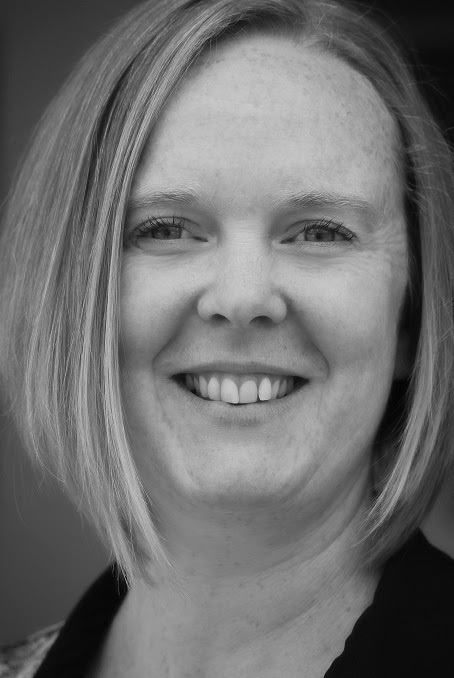 If you would like more information about how Chiropractic may help you then you can call or email the clinic and you can book in for a free 15 minute consultation with one of our Chiropractors.